A carousel of images is a pretty way of showing an array of images, and easy way to scroll through images. 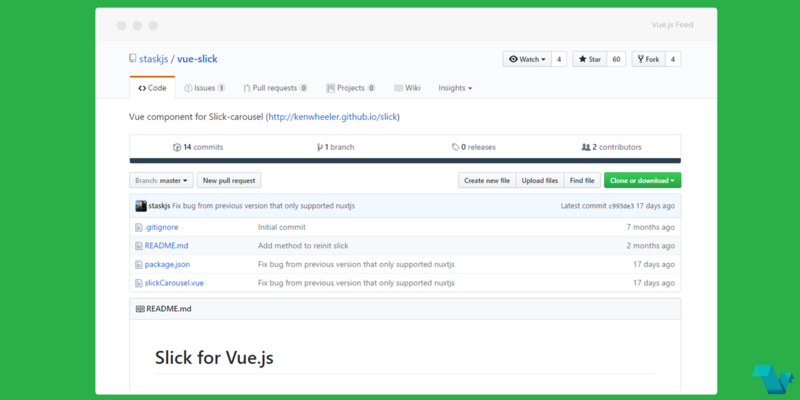 For Vue.js projects, one solution can be the Vue Slick component, a wrapper for the Slick-carousel, the last carousel you'll ever need. You can see the official slick-carousel documentation here along with demos. NOTE: slick-carousel official package appears to use jquery as a dependency in the package.json, despite it, would be more appropriate to use it as a peer dependency to avoid a possibility of using multiple versions of jquery. Be aware of that., When using webpack you can solve this problem with aliases & supports only Vue >= 2. The image will also contain a link which you can set to your preferred destination. The Vue component wrapper for the Slick-carousel is available on GitHub.